Denham, United Kingdom, 2018-Jul-27 — /Travel PR News/ — The Whitsunday Islands will welcome a new era of luxury in 2019 with the signing of a management agreement that will see IHG take over management of Hayman Island, rebranding it as Hayman Island, by InterContinental. The 166-room hotel is the only property on the 400-hectare island and will showcase world-class facilities, rooms and suites in one of the world’s most unique locations, accessible via Hamilton Island and then by either luxury vessel or helicopter. In addition to the hotel, Mulpha Australia Limited will offer a bespoke collection of homes for sale to those who want to own a piece of heaven on Hayman Island. InterContinental Sydney has been an iconic feature of the city skyline since it opened in the 1980s. With its unrivalled hospitality and some of the best views in Sydney, it’s a true favourite with travellers to Australia, including celebrities, world leaders and other high-profile guests, and will proudly continue as part of the InterContinental Hotels & Resorts family. InterContinental Sanctuary Cove was the first InterContinental Resort to open in Australia and has been a much-loved haven for travellers to Queensland’s Gold Coast since IHG took over management in 2012. With its dramatic stained-glass windows, grand staircase, beach lagoon, access to championship golf courses, the hotel reflects the grand, graceful architecture of a classic Queensland estate, nestled within the beautiful surrounds of Sanctuary Cove. 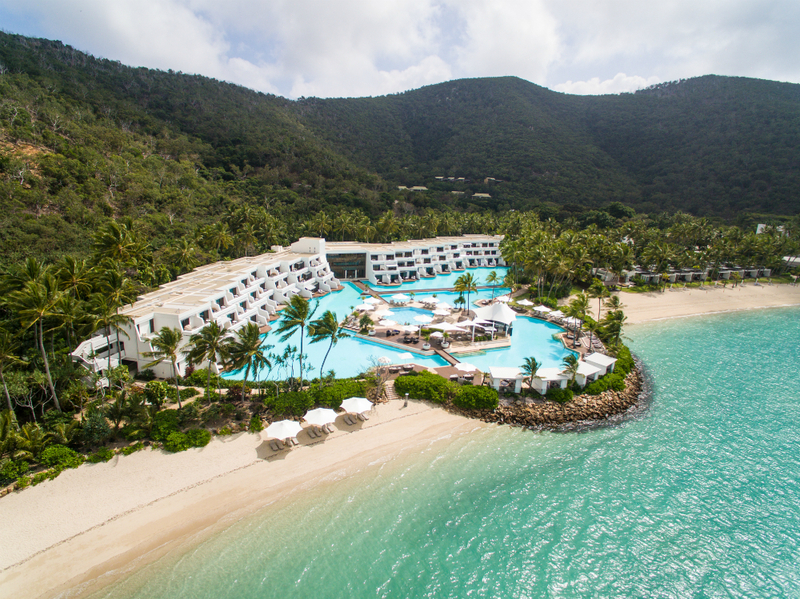 Under the new agreement, InterContinental Sanctuary Cove will enjoy a refurbishment that will see it continue its legacy as one of Queensland’s most prestigious hotels. The upgraded InterContinental will remain a centre point for the broader Sanctuary Cove Resort that features world class golf, Marina and shopping facilities that have recently been recognised as Australia’s best integrated residential community. This entry was posted in Hotels, Luxury, Resorts, Tourism, Travel, Travelers and tagged Greg Shaw, Hayman Island, IHG, InterContinental, Leanne Harwood, management. Bookmark the permalink.